Simple Whole Wheat Sugar Cookies - My go-to sugar cookie recipe. 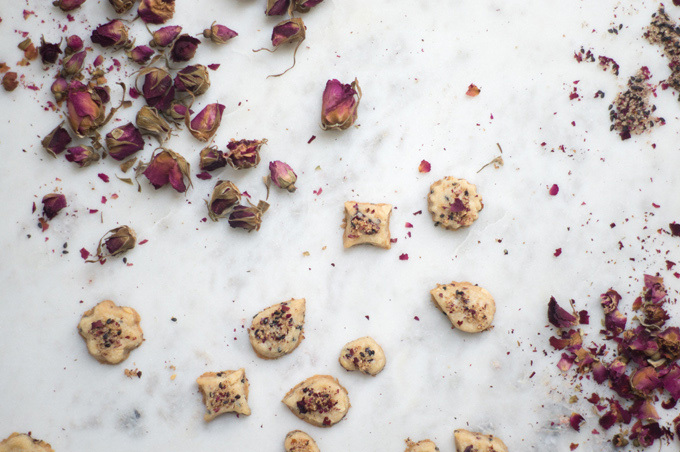 The dough is a dream to work with, and they love being decorated. Sante's Hermits - My friend Sante shared his hermit recipe with me. 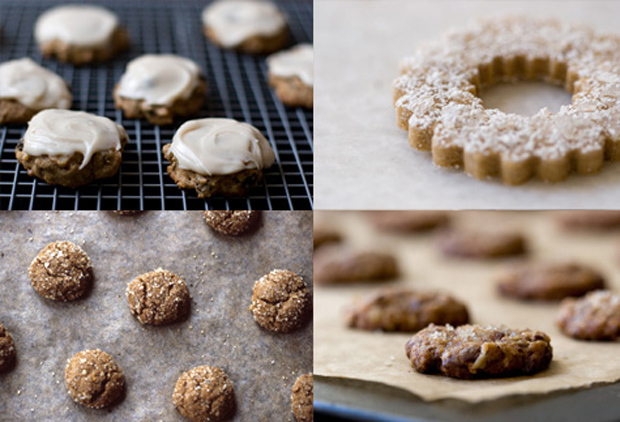 A simple drop-style, spice cookie loaded with tiny currants, chopped walnuts, and finished with a bit of icing. Itsy Bitsy Chocolate Chip Cookies - The perfect bite-sized chocolate chip cookie. Tiny, thin, golden, crisp, a bit nutty with plenty of shaved chocolate. 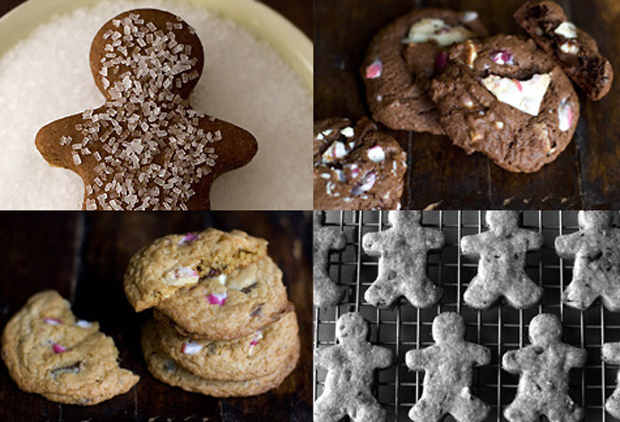 Sparkling Ginger Chip Cookies - I made these for Lottie & Doof's 12 DAYS OF COOKIES years ago. 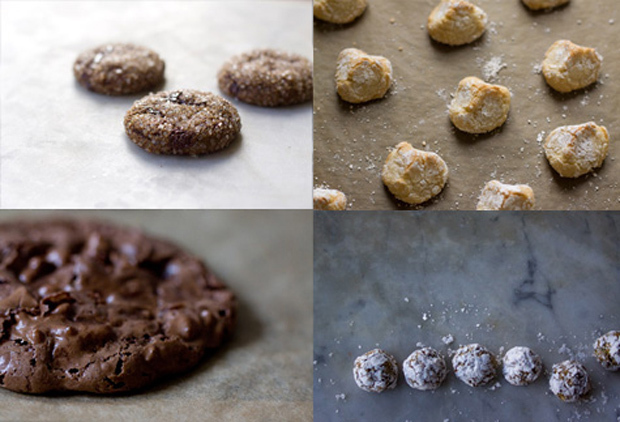 They are tiny, bite-sized holiday cookies made with two kinds of ginger and lots of shaved chocolate. The turbinado sugar crust gives them a bit of crunch which is a nice contrast to the ooey-goey chocolate. Limoncello Macaroons - A nice alternative to all of the peppermint and chocolate flavors this time of year. 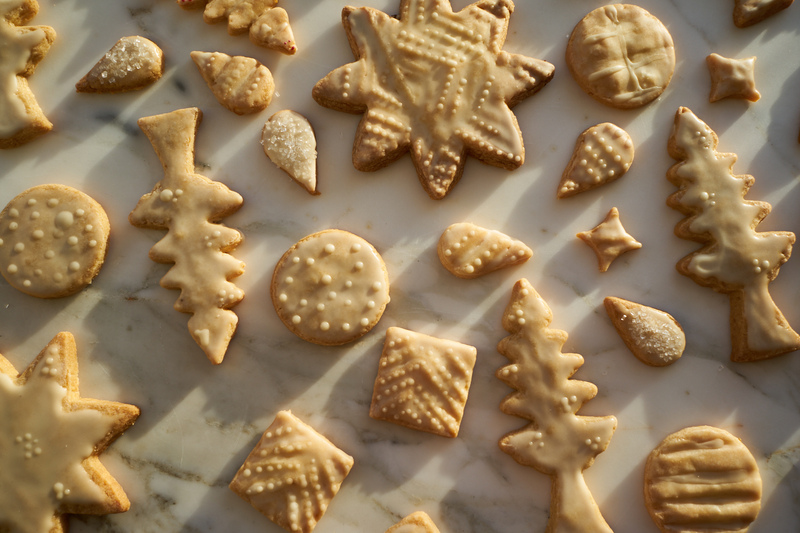 These are golden-crusted, powder-coated, almond-citrus gems spiked with limoncello liqueur. Chocolate Puddle Cookies - I came across a cookie when I visited Portland, it was a crackle-edged puddle of chocolate with a texture that made me think of the collision between a soft meringue and a fudgy brownie. They are amazing. 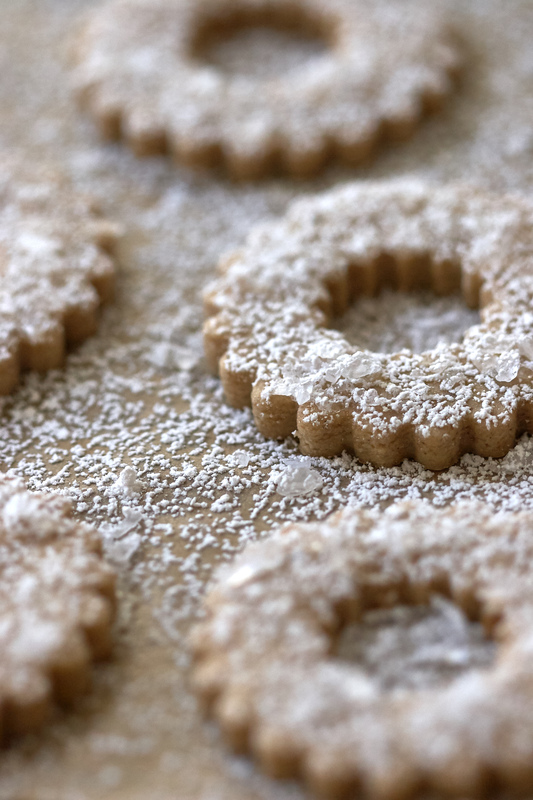 Downsize them a bit for a holiday cookie plate. Biscotti al Pistaccio - Charming little bite-sized, powder-coated pistachio cookies inspired by a visit to Mona Talbott's kitchen and the Rome Sustainable Food Project at the American Academy in Rome. 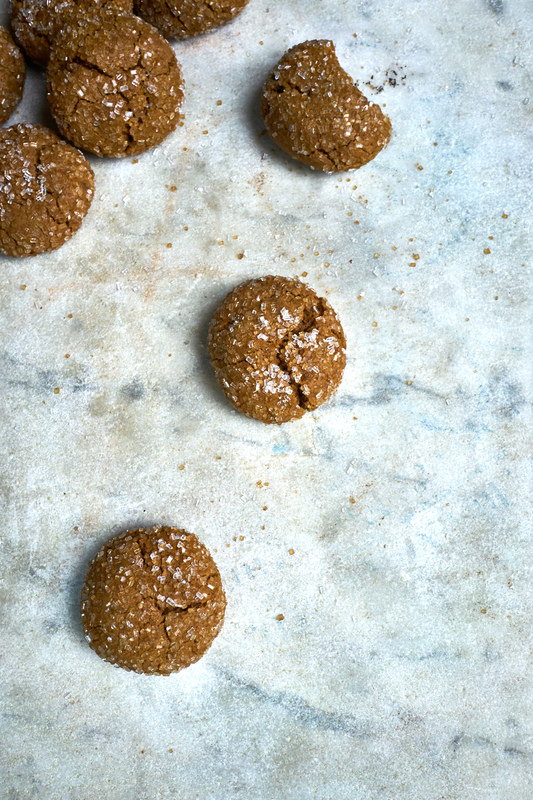 Gingerbread Cookies - A delicious, traditional tasting, yet healthier gingerbread cookie recipe that includes white whole wheat flour, more assertive spices, and less refined sweeteners. You wont miss the traditional version. They are very cute on popsicle sticks. Chocolate Peppermint Bark Cookies - Super decadent. A rich chocolate dough punctuated by generous amount of chopped peppermint bark and mini chocolate chips. Peppermint Bark Chocolate Chip Cookies - A great peppermint bark cookie recipe using one of my favorite cookie doughs along with a generous amount of chopped peppermint bark.